" Follow me to the grasslands. " He purred, his tail flicking in excitement. Eve nodded at Ember and sat down next to Misty. She licked Misty's fur a bit before sighing. "I wish I could be more helpful." OOC: @Mistpool Eunoia was talking to you, look at page one. Eunoia waited for Eve's response, following her and laying down next to Misty, cleaning her paw that would've been stained with blood. Misty groaned as she remembered running away. It was a cold night. Misty just wanted to get away. So she ran and ran until she stumbled upon the group. By then she had been starved to dead and scarred. Eve purred, happily. "Of course you can help. If you wish, you can join the group Adam and I are making?" Breeze crouched some way off, her light grey fur blinding in well, but her streaks of brown didn't help. She cursed quietly and tried to press closer to the ground as she watched the scene. Making a group... hm I see. 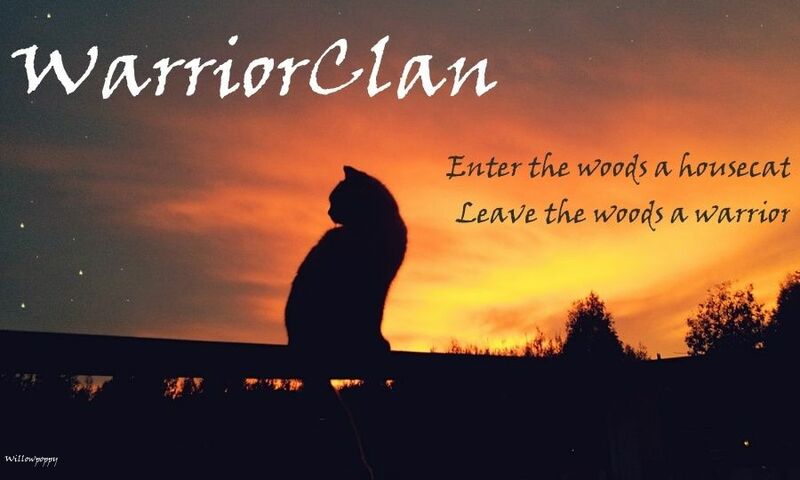 I might just join.. seems like they aren't like... clan killers and brutal and terrible and mean. They actually helped that cat. She thought, but decided to stay and observe a bit more. Eve smiled and pushed the rabbit towards Misty. "Eat something." She purred at the small cat. Adam came back with a mouse and was a little dispointed, he should know how to hunt a rabbit. He came back, putting his mouse down in frustration, then glaring at Eunoia. Eunoia smiled, nodding at Eve. "I would love too! When are they coming?!" She purred, looking at Eve and her belly, getting dizzy. "T-thank you." Misty said and gulped down the prey. "Thank your caring for me. I was such a bother, walking in and causing drama." Misty said, ashamed. Breeze twitched her ears. They share prey too? Wow it's a dream come true! Ok.. how to go up there like I'm no harm.. she though, crawling forward a bit. "Soon." Said Eve. She looked down at the cat next to her. "It's ok. Now why dont you tell me your name?" "Me?" Misty asked. "Or are you talking to someone else?" She said. She finished the last bit of her prey and buried it under the snow and dirt. "In my old group we were taught how to bury prey instead of leaving it out." She said. Eve nodded. "That way it doesn't get taken by other stuff or doesn't go bad." Suddenly Eve Shivered. "I think we should find a camp, its getting a bit cold here, and look over there." She nodded to the far side of the Glacier, where winds were starting to pick up. "That is defiantly the start of a Blizzard." Misty bushed out her fluffy fur. "Is there even shelter near here?" She asked, teeth chattering wildly. It wasn't this cold in Sunset and Ivy's group. she thought. Eve stood and followed, looking around. OOC: Next post at camp. Misty followed. "I hope we won't be sleeping in snow every night." She said with a sigh. She trudged after the others.